I think by this point it’s fairly obvious that anything Colleen Hoover publishes, I will be reading it. But even if she didn’t write this one, I would have picked this book up for the concept alone. 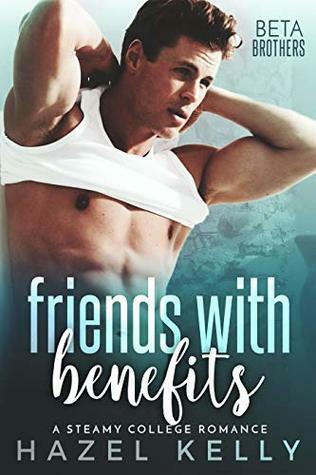 It just seemed like a book that would be filled with secrets and–obviously–confessions and I needed a good drama filled contemporary romance when I picked this up. It’s just an added bonus that Colleen Hoover writes this because I just know there are going to be some AWESOME plot twists. In Slammed, the focus is Slam Poetry; in Maybe Someday we get a music soundtrack. But in Confess, the focus is art–and you betcha, there is actually photos of the artwork in the text! I recommend you either get this book in print or at the very least look at the eBook on your computer or tablet because the photos look great in black and white (like your eReader) but they look even better when in colour! I just love these additions Colleen Hoover adds to her works and it’s what makes her a must read author for me. The other cool concept this book plays with is confessions. I’m not sure how many of you are familiar with the community project Post Secret but the idea is that you mail in your secret/confession on a postcard anonymously. A few years ago, the band All American Rejects used postcards from the site in their video Dirty Little Secret. Anyways, Owen’s artwork is inspired by similar confessions which is a interesting spin and really grounds this book and makes it more realistic to me. Don’t go into this book expecting a cheery and light romantic read–it’s actually kind-of depressing. Which is why it took me a while to get into it. I cried three pages in (you’ll understand why if you read it) and I cried at the very end for the same reason. While some aspects of the plot I figured out before they were revealed, in classic Colleen Hoover style there were some great twists which kept the plotline from getting too predictable. As I was reading, I really didn’t know what was going to happen next and, even better, I had no clue how everything was going to wrap up. I’m not sure how many of you are familiar with the Broadway musical Once but this book gave me similar vibes in the sense that two people are exploring their connection despite external forces and secrets driving them apart. But instead of music, we get artwork. I really liked all the characters we meet in this book–even the ones you are supposed to hate. Hoover writes great characters that always feel developed yet still manage to grow at the same time. I find they are consistent in their convictions (ie they don’t flop like fish) but they still have flaws and they try to fix it. So while these character might not be gracing a list of my all-time favourite characters, I still enjoyed reading about them. As I said before, this isn’t a happy-go-lucky type of romance book. It’s also a bit of a insta-connection / “must be fate” kind of romance which I don’t really like. However, I didn’t mind it in this case because you watch these characters struggle with that connection. It isn’t like they dive into bed together as soon as their eyes connect and forget the rest of the world. In fact, it is the complete opposite. It also helps that the focus of a majority of the book is on individual character growth and dealing with the world around them rather than their romantic connection. There were definitely enough “romantic” scenes but there was just the right amount to balance the “drama” portion of the story. This may not be my favourite Colleen Hoover book but I still really enjoyed it! I thought it had a great execution and unique attributes that made this different from your everyday romance novel. It kept my attention from beginning to end and I loved the fact that it still surprised me at the very end. Another great book by Colleen Hoover!